Dedicated to ensuring that its graduates are fully prepared to serve as productive and socially conscientious global citizens in the years to come, the Neag School continues to expand its international partnerships with a number of institutions around the world, offering students across the School opportunities to live and study abroad, as well as additional professional learning opportunities for others affiliated with the Neag School. Interested in pursuing a teaching career? 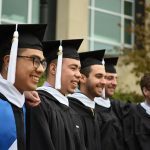 Learn more about the Neag School’s Integrated Bachelor’s/Master’s Program and Teacher Certification Program for College Graduates. 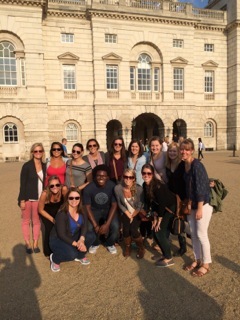 Students enrolled in the IB/M program at the Neag School are invited to apply for the Neag School of Education London Study Abroad Program. Integrated Bachelor’s/Master’s Fifth-Year London Study Abroad Teaching Internship Program – Admitted fifth-year IB/M students are invited to apply for this fall-semester program, which offers the opportunity to live, teach, research, and study in the heart of one of the world’s great urban centers. For more information, contact David Moss, director of global education and associate professor in the Neag School, at david.moss@uconn.edu. 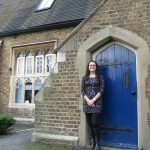 Learn about the Neag School’s special education teaching opportunity at Northgate School in North London, where alumni Grace Healey ’15 (ED), ’16 MA and Audrey Kelley ’15 (ED), ’16 MA interned. Read about Neag School alum Orlando Valentin ’15 (ED), ’16 MA, who spent a semester abroad teaching in London as part of the program. Hear from Amanda Slavin ’08 (ED), ’09 MA, also a Neag School London Study Abroad alum, who today is CEO/founder of Las Vegas-based startup CatalystCreativ. 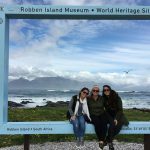 Read about scholarship support that is helping to provide future teachers with study abroad opportunities. Integrated Bachelor’s/Master’s Fifth-Year Nottingham Study Abroad Program – Designed to support fifth-year IB/M students with a concentration in secondary social studies, this fall-semester program set in the English city of Nottingham provide provide participants with the skills and knowledge to be exceptional social studies educators. Participants will teach in Nottingham-area schools and take coursework at the prestigious University of Nottingham. For more information, contact Alan Marcus, associate professor in the Neag School, at alan.marcus@uconn.edu. Germany Fulbright Program – With a grant from the German-American Fulbright Commission, the Neag School hosted a cohort of professional educators from Germany for a two-week short course that built upon the strategic plans of the Neag School of Education, and the University of Connecticut, to internationalize our academic programs.The theme of this program – diversity in U.S. education – aligns with the Neag School’s strategic area of focus of social justice as well as with the School’s global education initiatives. Together, Neag School faculty, Neag School students, and secondary school partners worked together through this project to foster a rigorous professional learning community, with the aim of improving teacher knowledge and instruction regarding culturally responsive pedagogy. Program dates for 2016 were held March 20 through April 2, 2016. Read more about the visit here. For more information, contact David Moss at david.moss@uconn.edu.